The date and location of the NKIT 2016 , the 20th edition are officially. This year the event host will be Herbalife, located in Venray. A small town, locatedin the Netherlands. The NKIT will take place on Saturday , June 18th 2016. Last year the NKIT was represented with our Manual Extendable Forks. These forks , which has to be extended manually , were used in a challenge where two racks had to be transported and maneuvred in a delimited space in the best possible time. Also this year, Meijer Handling Solutions will be represented at the NKIT. The NKIT promotes professionalism among drivers . This involves a combination of safety and productivity. The winner will not be the fastest driver, but the one who makes the least mistakes. In 2015 Ramon Leemeijer of Boal Group was the overall winner. He managed to gather a total of only six penalty points over six different driving tasks. 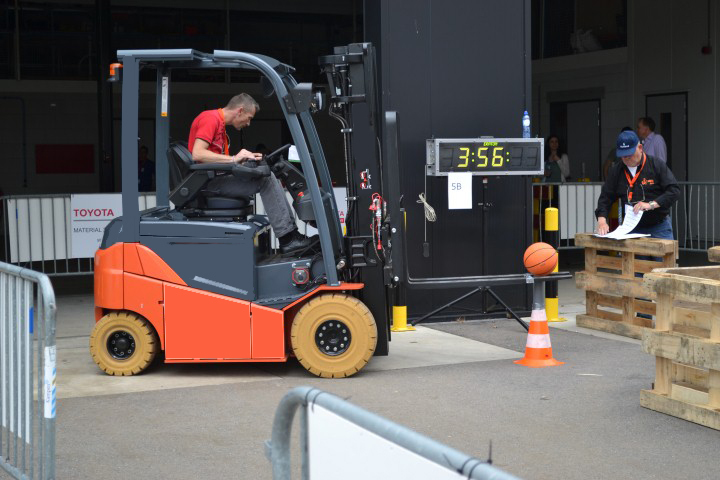 Registration for this edition are now full, but as a spectator you are welcome to encourage the best lift truck drivers in the Netherlands. There will be plenty of entertainment for each age and of course there will be some opportunity to grab some food and drinks.